Description: Amazing view of herd of cows lying afainst thicket of sea buckthorn shrubs and Himalaya mountains on background. 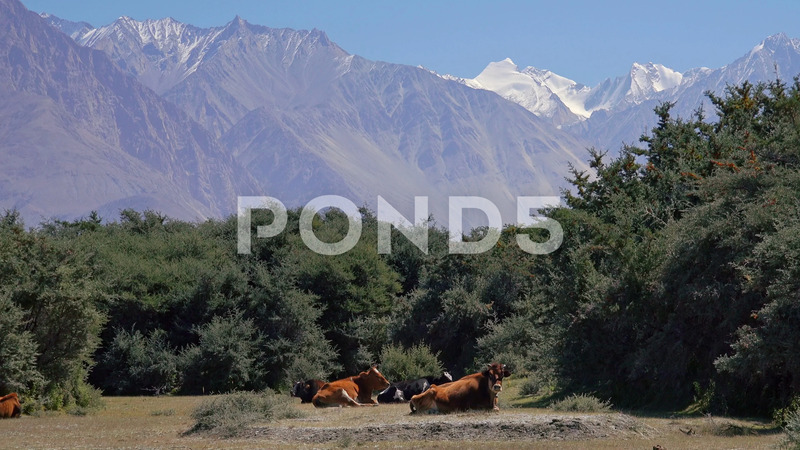 Group of domestic bovine animals resting in Nubra valley on sunny day. Ladakh, India.